We can send you the detailed itineraries, descriptions and pricing upon request. In addition to our regular series of workshops, which are opened to 12 photographers, Natalie and I offer a second series of workshops which are called the Little Known Workshops Series. The Little Known workshops are opened to 6 photographers only, are by invitation only, and participants must have attended a regular workshop to qualify. The goal of the Little Known Workshops is to visit and photograph places that we cannot go to with a regular size group. With only 6 participants, and with some of the participants carpooling because they travel together (friends or couples), we have a small caravan and we can access locations to Little Known Areas that we could not photograph otherwise. Some of these are locations Alain and I discovered by ourselves and that are very little known, or not known at all by photographers. We also spend a fair amount of time driving on dirt roads during these workshops, which is part of the experience. If you like adventure, if you enjoy visiting places that other photographers do not visit, if you want to experience a workshop the way it should be taught, which is with personal attention, camaraderie and an itinerary that invites exploration, the Little Known Workshops have your name on it! First, their numbers are very limited. We offer them once or twice a year, and not every year. Their availability is dependent on our schedule and on our other commitments. There has been times when we have not offered them for 3 or 4 years in a row. Second, they are open to only 6 photographers, half the number of participants in our regular workshop series. This means that you will enjoy a personalized experience. Natalie and I will have plenty of time to work with you, answer your personal questions and help you with the unique aspects of your work. Third, they are offered by invitation only. They are not listed on this website and the itinerary is not publicly available. Fourth, they are open primarily to alumni (previous workshop participants). We may, on rare occasions, invite a new student but only after evaluating their work, goals and photographic abilities. If you have not participated in one of our workshops, please email us a link to your site or a selection of your work, 5 to 10 images. Sixth, the Little Known Workshops require an 'open mind' and a taste for adventure in regards to logistics and schedule. Because the places we visit are remote and require driving on dirt roads, they may require a certain amount of driving skills to reach. This means that passenger cars are not appropriate and that an SUV is required. Seventh, we will take you to locations that we could not go to with a large group.We will also take you to locations that we have personally discovered, locations that may not be photographed often or at all. Your workshop will be unique because we do not offer these workshops regularly. In fact, we often offer them only once, and if we offer it again we change the itinerary so as to explore new locations. Eighth, your print review is longer, 30 minutes instead of 10 minutes on regular workshops. Ninth, your print review will focus on long term goals rather than on ‘mistakes.’ For this reason we encourage you to bring images focused on a specific project or subject. We also encourage you to bring 16x20 print size, matted if you travel by car, or rolled in a tube if you fly. Tenth, photographers who attend the Little Known Workshops are serious and committed to their photography. 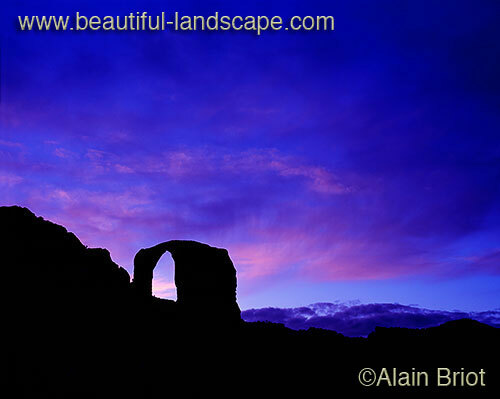 If this series of workshops has your name on it and you would like to join us, just drop us a line at alain@beautiful-landscape.com with the words Little Known Workshops in the subject line. We will add you to the pre-registration list. The Little Known Workshops are by invitation only and are open only to previous workshop participants. If you have not taken a workshop with us before you need to attend one of our regular workshops before you can be invited to our Little Known Workshop Series. These workshops are not announced on my site so the only way to know about them is through the pre-announcement list email. Therefore be sure to email us to add your name to the interest list if you want to be notified when a new Little Known Workshop is offered. They are also not announced in my regular newsletter (the one to which you subscribe with the Subscribe button at the top of this page). Just to the private 'little known' email list! Also, a quick response is recommended after you receive our email. The last one we offered filled up within 4 hours and quite a few people on the list were disappointed because they did not act fast enough.